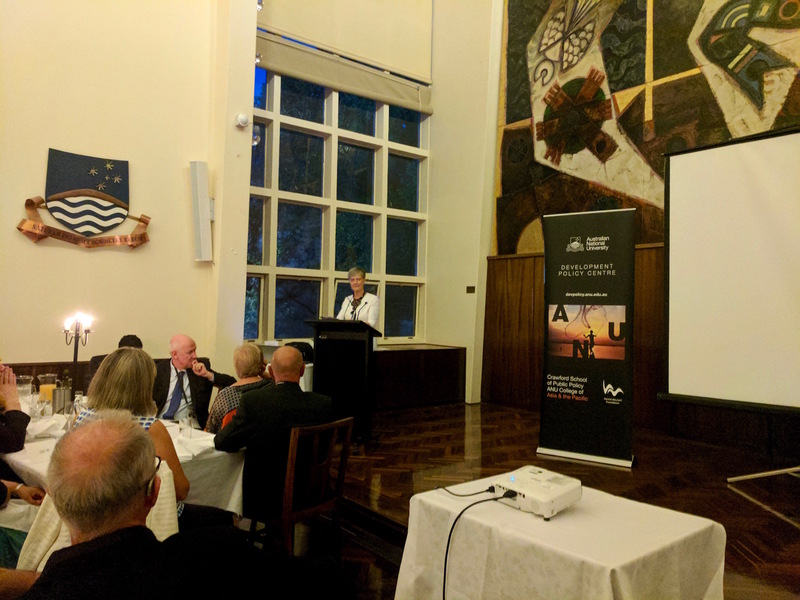 The Mitchell Humanitarian Award is selected each year from a short-list based on research undertaken by the Development Policy Centre at The Australian National University. This year’s short list of seven can be found at the Devpolicy Aid Profiles site. It includes global health leader, Helen Evans; life-long volunteer organizer and advocate, Bill Armstrong; philosopher and effective altruism pioneer, Peter Singer; rural development workers in Eastern Indonesia, Colin Barlow and Ria Gundowarsito; Indonesian womens’ organisation, Aisyiyah; and Phillip Passmore, international pharmacist. Congratulations Robyn for this great recognition. I can witness your tireless efforts to implement projects that have supported livelihoods of poor people living in less privileged village communities in Tanzania, mass Newcastle disease vaccination campaigns of village chickens being one of the most outstanding. People in the involved village communities, particularly women are now able to fulfill some of the family needs including buying school uniforms and exercise books for their children using cash earned from the sale of live chickens and eggs. But most importantly, nutritional improvement of children and pregnant women through increased consumption of poultry products. Congratulations Robyn, I am happy that your efforts which have been invested for a long time in improving the life of the less privileged rural community members are recognised inside Australia and Internationally, Once again CONGRATULATION. Outstanding news, and congratulations to Robyn, who has shown what a difference veterinarians can make to global food security! The Sydney School of Veterinary Science is proud to be partnering on a diverse range of “one health” animal and human health and food security projects abroad, and of the achievements of our many staff and students who work on these projects. Congratulations Robyn. Australia’s scientific and technical resources used to collaboratively meet local needs – our most underused development resource?